Nocs has long been one of our favorite audio peripheral makers not only because of the great sound all of their speakers and headphones produce but they always have a forward thinking theory when it comes to design. Their latest addition is the NS2 Air Monitor V2 which ads some new features that we could only dream of months or even years ago. These NS2 Air Monitors V2 may look very similar to their other speakers from years past but once you cut these bad boys open and look at the guts you soon realize they are completely different. 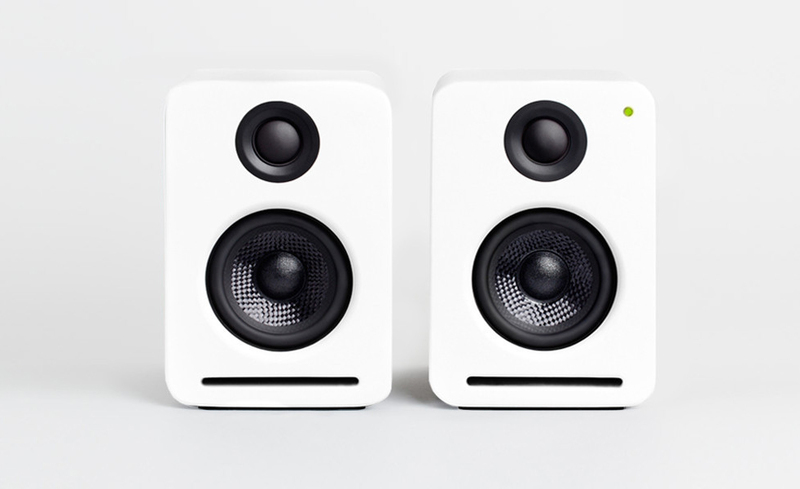 They are able to natively stream audio via AirPlay, Bluetooth and remarkably even Spotify. Once again this is all done natively which has never been able to be done all together in one small pair of speakers. The fact that these are able to stream Spotify on the native side of things is what really is a game changer and a true look into the future of wireless speakers. The NS2 Air Monitors will be available 8/11 directly from Nocs here in 7 different colors and they even have a NS2 Air Monitors App available which will help you set up the speakers and also rename the device as well.